Lots of people want to get in on the nascent space flight market. States and locales as diverse as Hawaii, Georgia, Alabama, and Puerto Rico are eyeing the possibility of building a spaceport, but New Mexico’s Spaceport America is already near completion and has launched 19 vertical launches so far. Sierra County’s own Spaceport America is “competitively positioned.” The spaceflight industry could be used in ways that are currently unforeseen. In other words, Spaceport America has the potential to be a Big Deal as well as the Next Big Thing. And, of course, Richard Branson, owner of Virgin Galactic, thinks so. He intends for the lucky few to be able to travel into space very soon. So, even though more places are hoping to get in on the act, and build their own space hub, Spaceport America in Sierra County is ahead of the curve. Virgin Galactic isn’t the only company wanting to send regular folks (albeit very rich regular folks) into space. 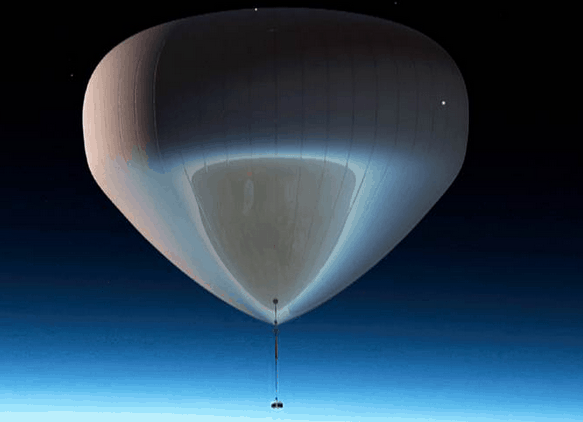 A new company, World View, is making plans to launch ordinary people up high enough to see the curvature of the earth in a spaceship lifted by a high-altitude balloon. Sound exciting? It is! Post by Sierra County New Mexico Tourism. Stay tuned for more information. Guided tours to Spaceport America are already available. Before you know it, Sierra County in southern New Mexico is going to be on the map!